Engineered for Men to maximise skin performance. Powered by Sirtunin technology, this high performance daily moisturiser dramatically reduces the appearance of fine lines and wrinkles and immediately hydrates the skin. With continued use, skin tone is more even, pores look less visible and skin looks rejuvenated. With long-term continued use, skin appears renewed as it looks firmer and more lifted and visible aging effects appear delayed - skin looks younger, longer. *Based on consumer testing after four weeks of faithful use. Hydrolyzed Rice Extract, Hydrolyzed Myrtus Communis Leaf Extract and Larix Sibirica Wood Extract - to help repair the look of the signs of ageing as well as help slow down the rate at which the skin appears to age. Whey Protein and Acetyl Hexapeptide-8 - to help keep skin looking firmer, smoother and more lifted. Mica/Titanium Dioxide - Immediately improve the appearance of photo-ageing and visible skin imperfections caused by environment and/or stress. Glycerin, Sodium PCA and Sodium Hyaluronate. - Provides Immediate and long term hydration. Thought I'd give this a try as a treat but the amount you get for the money is very tight. And to be honest I've not noticed a massive amount of difference but have only been using for a couple of days so far.
. But have to say that after using it for a week Im very pleased with the immediate results I have noticed so far. My skin feels much firmer than it did with previously and I never even considered my skin needed a firming agent before. I have seen a slight reduction in fine lines and what wrinkles I do have dont seem as harsh. I found it absorbed well into my skin resulting in a matt finish I have combination skin as it is, so I need products that do not add shine. My only real issue is that regardless of what the packaging says, this item is not a cream! So that is a little misleading. This has a balm consistency which means you can end up using more than you intended too (a complaint I noticed in a previous review of the product). However, besides this minor gripe, I would definitely consider buying other products from the range now that I have tried this out. I have very sensitive skin and was nervous about trying this product. Glad I gave it a try. A previous review says it is a balm texture so they used too much. The fact it is a balm is it's seller. It sinks into the skin without a trace which allows skin to balance itself. Essentially your not sticking dead skin down with a thick cream. Use a small amount for about 3 weeks and your flakey skin will be a thing of the past. It takes a few weeks to shed the dead. Less is more and used with the night serum your skin will glow. I never write reviews but this product is so good I felt I had too. For the last year or so I have been working my way through all the different face creams on Mankind. A lot make amazing claims and then are a bit of a let down. Some are too oily, some too shiny. Some OK but pricey. Finally I came to this one and it is without doubt the best of the lot for me anyway. It really smooths the skin and does not leave any shininess. It is pricey but I am prepared to pay for this as it works the best of all I have tried. this stuff is simply awsome..thank you lab series yet again. I don't like the balm texture as it encourages you to use too much to spread it on your face. I don't like the fact that it is paraffin based. On the plus side it does leave a nice matt finish and it does make the skin look healthy. There are so many products out there with proven technology such as Jack Blacks Peptide serum containing matrixyl 3000 that for this product to compete it has to be outstanding which unfortunately it isn't. 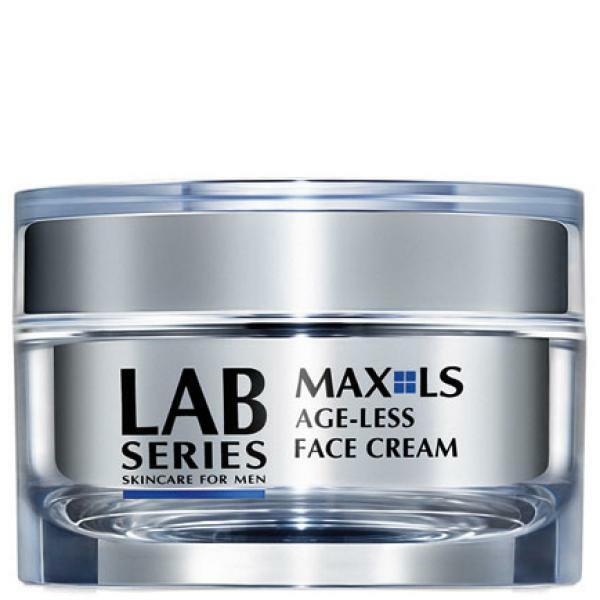 Lab series do make some very good products and i'm a regular user of the daily defence lotion but this Max LS product just seems to be very average but very well packaged. Good but not exceptional. I was quite excited to see Lab Series expanding their lineup of products especially to address more specific issues for us guys as we get older. I purchased this a few days after it was launched and I wound up returning it in a hurry. The consistency of the product is VERY different from what I was expecting. It's more of a balm than it is a cream. Because of this texture or consistency you need to use a lot. The product claims to immediately do several things which I found to be not true... at least on my skin. It also seems as if Lab Series spent more money on the packaging/presentation than necessary. The size of the container for the actual amount of product received is rather deceptive. Stick with the Age Rescue and Night Recovery Face Lotions. The only thing MAX about the new Max LS Age Less Face Cream is the price.